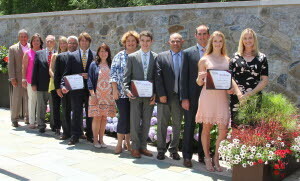 High Foundation recently presented scholarship awards to David Medlock, Vincent Vozzella, and Theodora Dillman, all of Lancaster. All three students have been awarded $20,000 scholarships, which provide $5,000 per year for four years. 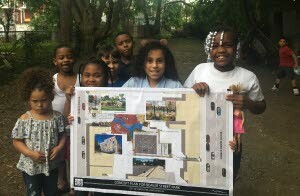 The S. Dale High Family Foundation has contributed $100,000 toward construction of Declaration House, the first social services center in Denver, Pa. 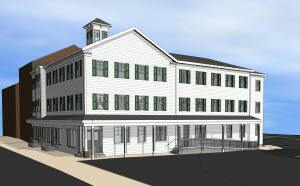 Located at 240 Main St., the new facility will be the headquarters of REAL Life Community Services, a provider of faith-based youth mentoring, intervention, and other social services. 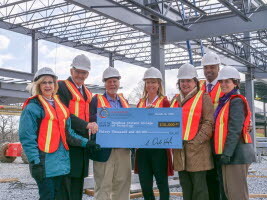 The S. Dale High Family Foundation contributed $30,000 toward power shear equipment for the new Thaddeus Stevens College of Technology Greiner Advanced Manufacturing Center under construction at 599 Chesapeake Street in Lancaster, Pa. The grant continues a tradition of support from the High Family and High Companies for the college and technical education in the Lancaster community. PHOTO L-R: Deb Strubel, Director of Grants and Alex Munro, Executive Director, Foundation and Alumni Association, Thaddeus Stevens College of Technology; S. Dale High, Chairman; Suzanne High, Vice Chair; Robin Stauffer, Executive Director, The S. Dale High Family Foundation; and Darryl Gordon, High’s Vice President Human Resource Team / member of the College President’s Community Advisory Council; Zoann Parker, PhD., Vice President of Academic Affairs for the College. In starting a classroom where prekindergarten students learn about science, technology, engineering and math, the Community Action Partnership of Lancaster County says it’s preparing for the workforce of the future. With plans to open this fall, the classroom will join the 15 Head Start locations in Lancaster County that provide free, publicly funded, high-quality education to pre-K students from low-income families. 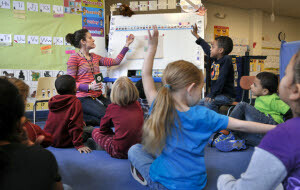 “This 21st-century classroom will employ an intergenerational approach to the reduction of poverty by improving student-parent prospects for the future,” said Jill Koser, CAP’s education and child development impact team leader. “It’s really gratifying to see, like, this is what the neighborhood said that they wanted, they put together this plan, and then they got funding for it,” Mayor Danene Sorace said. Danene Sorace's No. 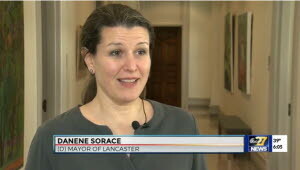 1 goal as mayor of Lancaster is to make its neighborhoods outside of downtown stronger. Thanks to a number of grants from The S. Dale High Family Foundation announced Tuesday, that goal is being set in motion. 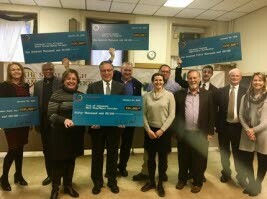 The five grants were announced by S. Dale High of the S. Dale High Family Foundation at a press conference at the St. Joseph Catholic Church in Lancaster on Tuesday evening. S. Dale High can't wait to see what changes take place in Lancaster city's southwest district — an area fondly called SoWe by those who live there — by the year 2040. No need to wait so long, Gene Duncan, chairman of the Southwest Neighborhood Leadership board, told High. Check back in a year to see what's been accomplished. 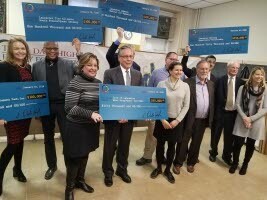 Duncan was among several city and SoWe representatives on hand Tuesday afternoon when High, representing the S. Dale High Family Foundation, announced grants totaling $600,000 that will be used to repair and improve properties, corridors, and gateways in the neighborhood.